The MBMS Harry Potter celebration is the week of February 11, 2019. 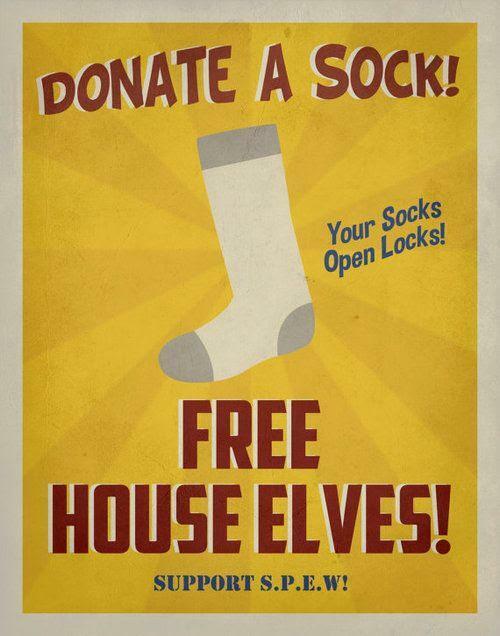 Our school will once again add a charitable element to the event: “Free Dobby* and the House Elves -- Your Socks Open Locks!” We will be collecting NEW socks for homeless adults, children and babies. Preferred colors are black and white, but all donations will be gratefully accepted. Sock donations will be collected in the MBMS Library all week (Feb. 11-15, 2019). Children bringing in sock donations will receive a stamp/sticker on their Harry Potter Passport that will go toward their House Points total at the Rally at the end of the week. Thank you for your support! Questions? Email MBMS Librarian Cory O'Meara.